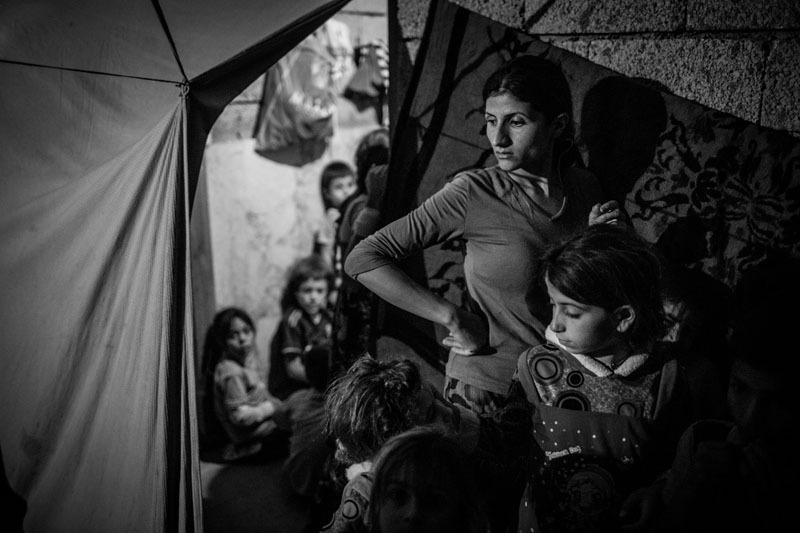 Yazidi refugees living in unfinished houses and tents. They live with about a thousand other refugees in the structural work of a school. The living situation is catastrophic. Winter is coming, without blankets, without warm clothes. This family lived in Kocho, a village in northern Iraq captured by ISIS. Many of their family members were killed or kidnapped. They managed to flee that place and are now on the run.